P - The "P" is for Punjab. TAN - The "TAN" is for Balochistan. 3000 - The Indus Valley Civilization begins to form in Pakistan. It will dominate the region until 1500 BCE. 1500 - The Vedic civilization begins to form when the Aryan peoples migrate into the area. Early sacred texts of the Hindu religion are composed. 500 - Cyrus the Great of Persia conquers the land. Pakistan becomes part of the First Persian Empire. 327 - Alexander the Great conquers the Persian Empire and invades Pakistan. 326 - The Battle of the Hydaspes is fought. Alexander the Great wins and gains control the Punjab region. 322 - The Maurya Empire of India gains control of the region after Alexander the Great leaves. 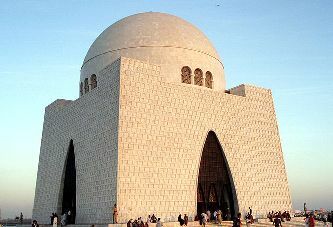 300 - Buddhism is introduced in Pakistan. 60 - The Kushan Empire begins to dominate the region. The city of Peshawar serves as the capital for the western portion of the empire. 200s - As the Kushan Empire weakens, the Sassanid Persian Empire moves into the region. 320 - The Gupta Empire of India conquers the southern portion of Pakistan and rules there until 600 CE. 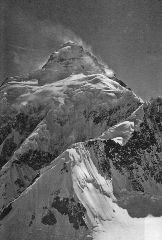 450 - The White Huns enter northern Pakistan. 712 - Much of Pakistan is conquered by Muhammad bin Qasim of the Umayyad Caliphate. Pakistan becomes part of the Arab Empire. Islam is introduced to Pakistan. 997 - The Ghaznavid Empire takes over as Mahmud of Ghazni conquers the region. 1160 - The Delhi Sultnate conquers much of southern Pakistan. 1526 - The Mughal Empire is established by Turkish Islam leader Babur. 1556 - Akbar the Great becomes the Mughal Emperor. 1736 - The Mughals are defeated by Nader Shah of Persia. 1799 - The Sikh Empire is formed. 1843 - The British defeat the Talpur Emirs of Sindh at the Battle of Miani. 1849 - The Sikhs are defeated by the British. Punjab becomes part of British India. 1857 - Pakistan becomes part of the British Indian Empire. 1893 - The border between Pakistan and Afghanistan is established. 1906 - The All-India Muslim League is founded. 1933 - The name "Pakistan" is introduced in the pamphlet Now or Never. The independence movement gains momentum. 1940 - The Muslim League says there should be a separate and independent nation for India's muslims. 1947 - Pakistan becomes an independent nation from India. The first leader of Pakistan is founding father Muhammad Ali Jinnah. 1948 - Muhammad Ali Jinnah dies. War breaks out between Pakistan and India over disputed territory in the region of Kashmir. 1956 - Pakistan is declared an Islamic republic. 1960 - Ayyub Khan is elected president. 1965 - Pakistan and India again go to war over Kashmir. 1971 - East Pakistan breaks away and declares the independent state of Bangladesh. 1972 - Pakistan and India agree to peace over Kashmir. They both sign the Simla Agreement. 1991 - The Islamic Shariah law becomes part of the legal code. 1998 - Pakistan tests its first nuclear weapon. 2001 - General Pervez Musharraf declares himself president. He remains head of the military. 2002 - India and Pakistan once again come close to all out war over Kashmir. 2007 - Musharraf replaces the Supreme Court when they challenge his win in an election. 2008 - Musharraf is forced to resign. 2011 - The leader of the terrorist group Al-Qaeda, Osama bin Laden, is killed. The land that is today Pakistan was part of the Indus Valley civilization thousands of years ago. This civilization flourished until 1500 BCE. In the coming centuries, the area would be invaded by numerous empires and civilizations primarily from the west. These included the Persians, the Greeks (Alexander the Great), the Arabs (who established the religion Islam in the area), and the Ottoman Empire. 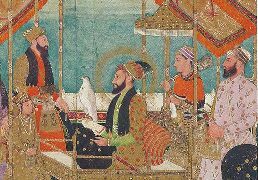 From the 1500s to the 1700s the Mughal Empire dominated and thrived in the area of Pakistan. In the 18th century the British came to the region and took over the area of Pakistan, then part of India. They would rule up until 1947. In 1947 the British split up India into three parts: India, Pakistan, and East Pakistan (which would later become Bangladesh). India and Pakistan have long fought over a disputed region called Kashmir. In 1998 Pakistan conducted nuclear weapons testing. This was in response to India performing its own nuclear tests. Relations are still strained between the two countries.